Fellow crewmen show a member of the search party the spot where the victim is believed to have fallen. 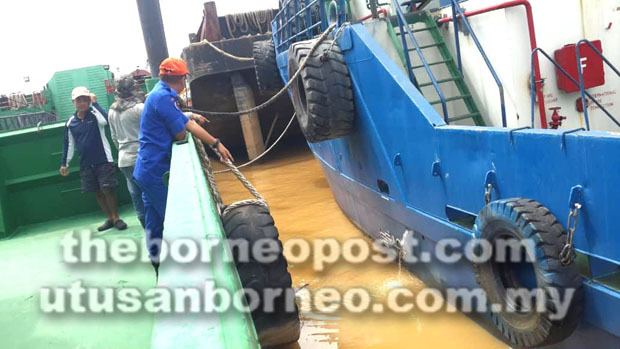 SIBU: A search-and-rescue operation was launched Wednesday after a foreign boat crewman was reported to have fallen into the river. The victim was identified as Indian national Haris Kumar, 24.
when he slipped and fell into the river. The incident is said to have occurred around 10pm. Authorities launched the operation to locate the victim within 30 minutes of receiving the report. Yesterday, rescuers conducted searches along the riverbank but have yet to locate the missing crewman.